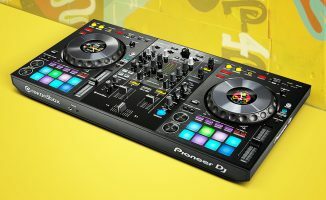 Pioneer DJ's DDJ-1000 makes a lot of sense "in person" - especially when you get to play with the CDJ-style jogwheels. 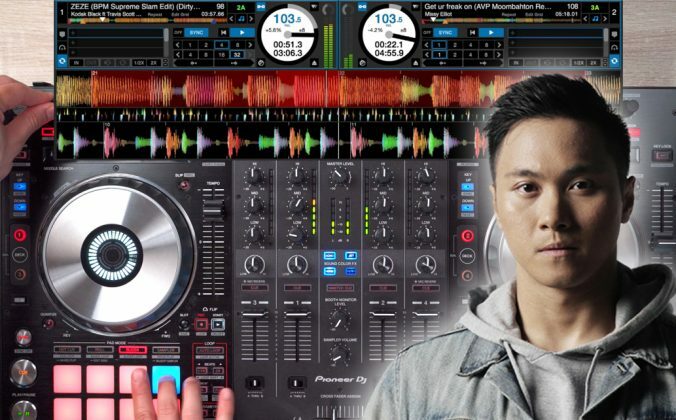 Pioneer DJ’s DDJ-1000 – on show here at NAMM 2018 – combines the jogwheels from the CDJ pro media players (the same exact jogwheels, including how they sound and feel when moved), with a real Pioneer DJ hardware mixer (including hardware effects, mic channels and external inputs), and the usual advanced features you can only get when plugging in a controller and laptop – such as lyrics, visuals, video, lighting control and so on. 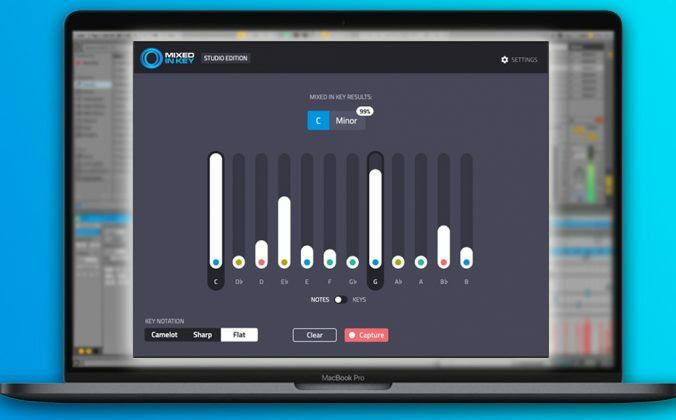 Throw in in-jog screens for waveforms, loops, BPM, key info and the like, and it’s a pretty special controller, and in person it all makes sense – especially the fact that those really ARE the same jogwheels/platters from the pro CDJ series. More subtle features – the looping controls lifted straight from CDJs/XDJs, a jogwheel stiffness control – add to the feeling that (certainly for many DJs who either aspire to using Pioneer DJ club gear, or who do use it but want a controller at home) this represents a bit of a leap forward for controller design, and one only Pioneer DJ could really have done, due to this layout/feel being part of its club legacy. 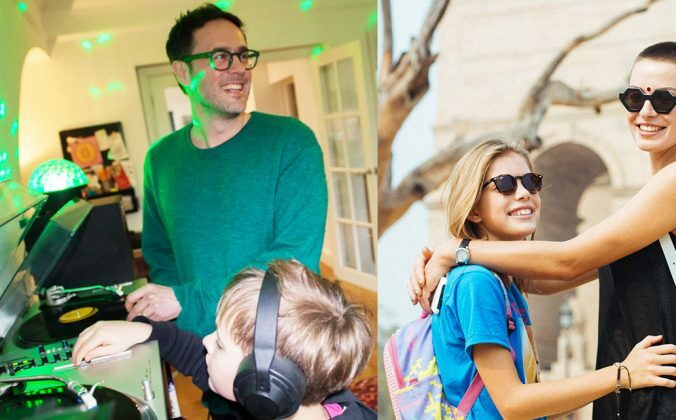 Of course, an XDJ-RX-style version of this that didn’t need the laptop at all would appeal to many, the XDJ-RX and RX2 being hugely popular precisely because they don’t need a laptop. 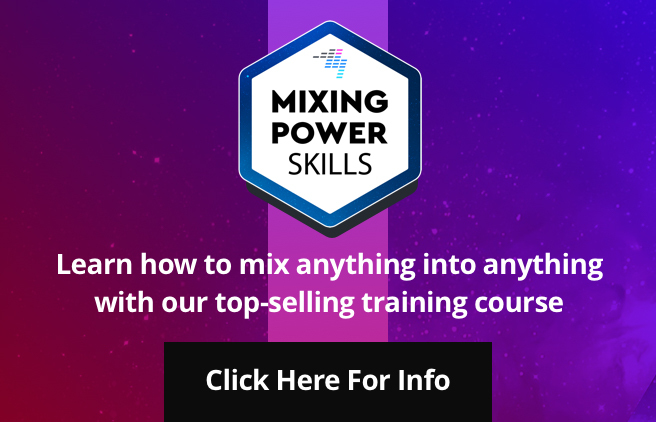 But for the most advanced DJ features, a laptop is still desirable – and for that pretty large segment of the market, this is a storming controller. • The DDJ-1000 costs £1,059 / $1,1999 and is available imminently. I’d really like to know what’s the refresh rate of the center jog wheels screens. 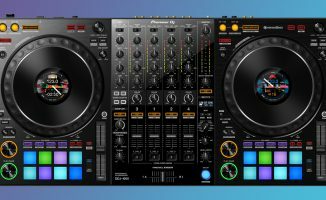 It looks like a pretty good controller in terms of making a hybrid of CDJ layout with the extra controller functionality. 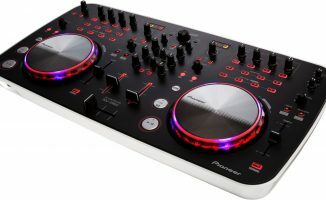 I’ve currently got a DDJ-RZ, and just wondering how that compares to the new DDJ 1000 in terms of features? 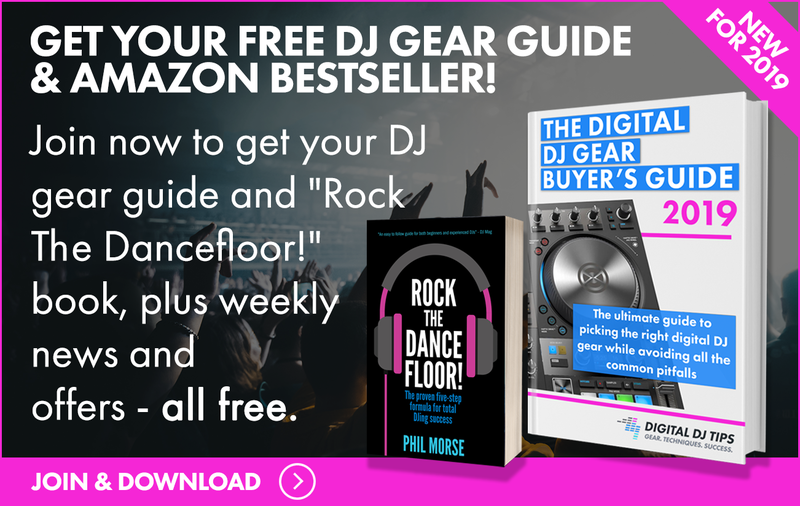 Definitely see a couple benefits with the DDJ1000 layout being closer to CDJ club setups, and it looks like the 1000 is a bit smaller and lighter as well, but does it lose some of the features that exist on the RZ already? 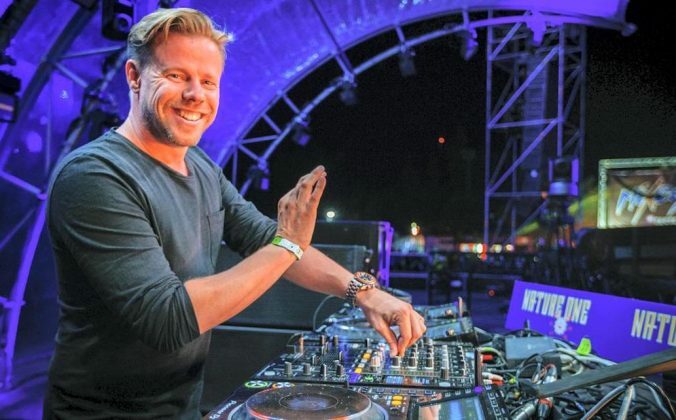 It’s a lot smaller but I’d say if you have the DDJ-RZ, there’s nothing huge here to tempt you. Hey Phil, is it alot larger than my old (but reliable) VCI-400? Was looking to pull the trigger on the Denon 8000, but the quality issues on the Serato forum have given me pause. 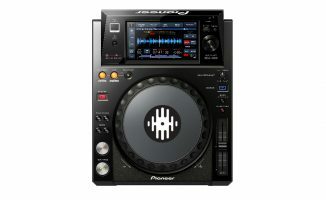 This looks like it may fit the bill, but size is a concern for a mobile DJ like me..
It’s smaller then the MCX8000, so I don’t think size would be an issue. This is for sure on my radar for purchase this year. Everything I’ve seen and heard so far is pointing me to getting this gear and starting to make Rekordbox DJ my main platform. 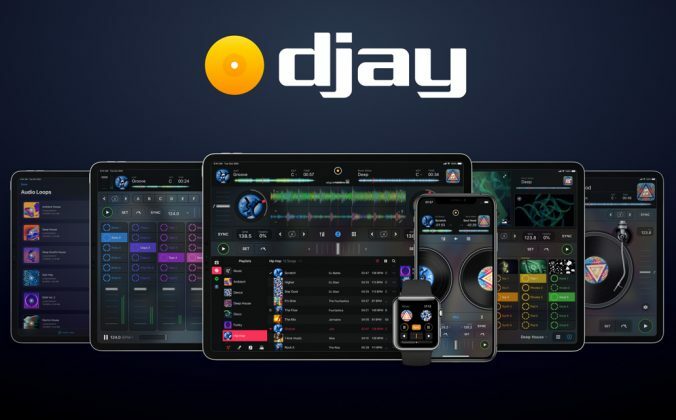 It would be cool to see if Pioneer would also put out a tsi for Traktor connectivity and if the folks at Virtual DJ are working on supporting this as well. 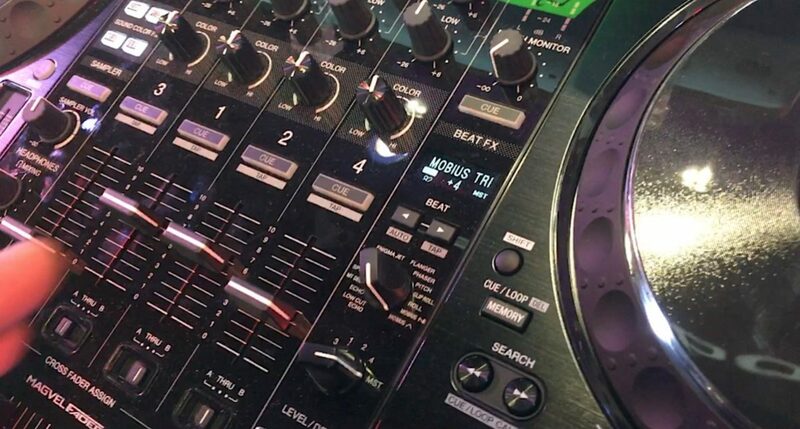 So I am trying to decide now if I go DDJ-SX2 with Serato and SoundSwitch … OR … DDJ-1000 with the RB-DMX1 … has anyone seen much between the two lighting techniques? Is one “easier” to work with than the other?